Well actually thats a lie, 1.2 has been out for about a year now but only for Chrome. Whats New in 1.2 you ask? As this addon is a context based extension (meaning it only shows up when you right click on a page) it now supports right clicking on an Image and a link on top of the default page context. This means that you can send an image url or a link url directly to the archival service. Thanks to Mozillas new WebExtension API i could retire the old Firefox extension and simply build the Chrome Extension for Firefox, That was it, no code had to be changed, i simply had to upload it to AMO to be signed and bam its ready to rock. 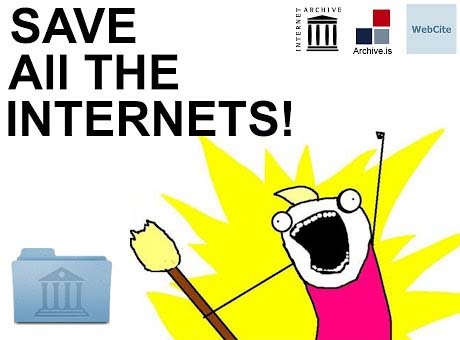 The Archiver is a tool that lets you save a webpage to the top 3 popular Archival services available today. It also lets you check if the page has already been archived. Simply right click on a page and use the context menu to archive a page, image or link url or check if the page, image or link url has been previously saved. Download the Chrome Extension 1.2 here! Download the Firefox Extension 1.2 here @ addons.mozilla.org or alternative!